I am a huge adrenaline junkie. I love everything that gets the blood pumping and I know there are other Black women who feel the same way. So I made this post about 17 different adventures that Black women would enjoy. I made sure to include only countries that have proven to be safe for Black women so that you can enjoy the country outside of the adventure. Here are my picks for some adventure travel for Black Women. 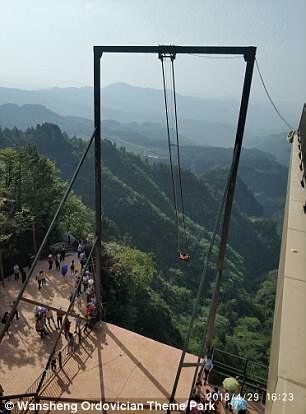 If you have ever had the desire to swing yourself over a 1,000 ft cliff than you can do so in Chongquing, China. There are 4 other swings that are in the amusement park if you are looking for a smaller thrill. Representatives stated that the swing is 100% safe. The only safety measure though, are the safety belts on that strap you into the seat. There are no nets under the swing if anything should happen. A lot of these adventures are abroad from the United States, but that doesn’t mean the America doesn’t have its own adventures. You can take the time to raft down the Colorado River and through the Grand Canyon. I personally am not the most massive of water fans but the rapids look fun and intense and every picture that I see includes life vests. There are only a few tours that will allow you to actually sleep in the base camp. 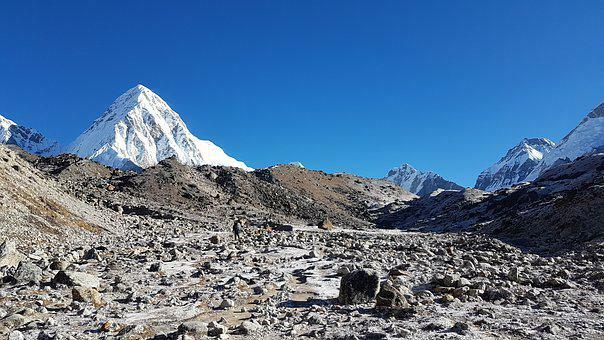 Most trekkers will make it to the base camp and then trek back down to the town of Gorak Shep. If you are lucky to get a chance to sleep in the base tour it it truly something unreal to see the views and experience sleeping on the highest mountain in the world. Most tours are going to run around April and May bit it depends on the company. Just know that if you catch a cold or have any type of illness you won’t be able to stay in camp. Nobody wants the official climbers to get ill. There is an easier way to get to Macchu Picchu than trekking, you can take the train. It just isn’t as satisfying as taking the trek and earning every step. If you don’t want to take the famous Inca trail then you can try the Salkantay trail or come in from Choquequirao. Make sure that you acclimatize before you attempt to make the trek. The altitude is brutal for some people and you don’t want to catch altitude sickness. 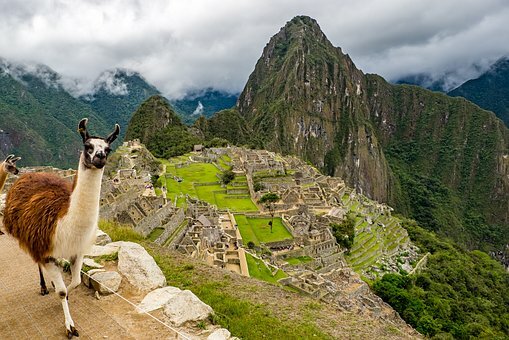 You can find my post about solo travel in Peru right here. 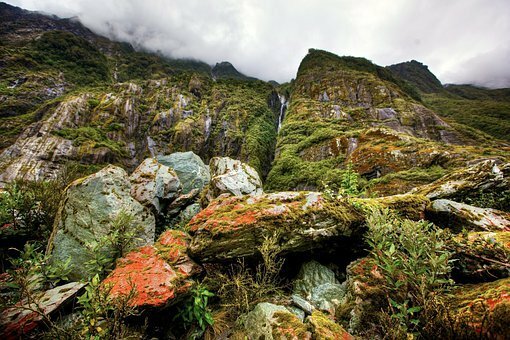 New Zealand has 9 official great walks and Milford Track is one of them. The trek usually takes about 4 days and it will take you from Lake Te Anau to Milford Sound. I’m working on a post about backpacking and will link it when I update the post. You can also find my post about New Zealand travel right here. I would suggest that you avoid trying to go during the height of the summer which is November to April. Instead go during the off season where there are less restrictions, crowds, and ways that your hike can be interrupted. If you like that hike then you can try some of the other great hikes that the country has to offer. For the purposes of this post I am talking specifically about Thrihnukagigur volcano but there may be other tours that are available. During this tour you will climb into a lift and be lowered down into the magma chamber. You will be able to experience 120 meters down into a real live volcano. 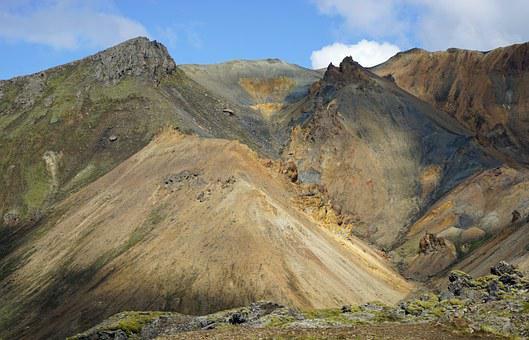 The volcano hasn’t erupted in over 4,000 years so it is considered dormant and in theory should be safe for some quality time below the surface. The tours run from May to October and are offered on a year to year basis. While the volcano is currently dormant, you never really know what nature has to offer. You can find my post about Iceland solo travel right here. So this suggestion on my “adventure travel for Black women” post is actually inspired by real life Black women from one of my travel groups. A group of them went down to Antarctica and posted pictures of penguins and jumping into the Arctic Ocean. 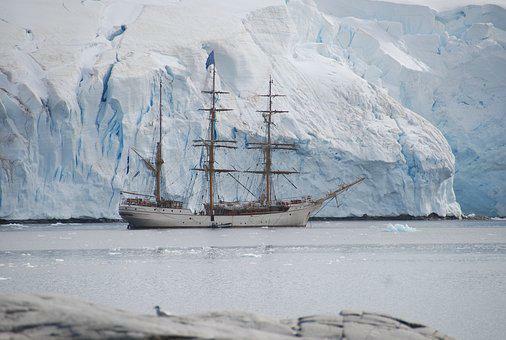 If you are a person that can deal with the cold then you can try to meander on down to the continent and see what you can get into. 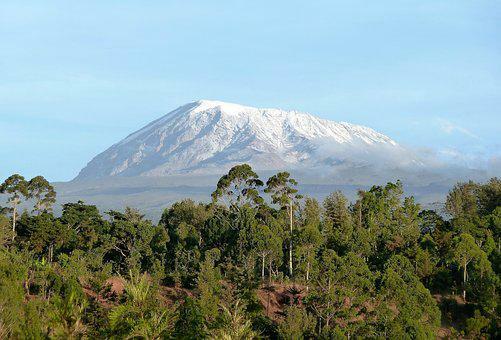 Kilimanjaro isn’t something that you can do independently so you will have to do some planning and find a tour that will fit into your schedule. Some of the scientist state that because of global warming, the mountain may only have a few more decades of snow before it is gone. If you are able to find a tour, make sure that you give it a few days for acclimatization before you attempt your climb. This is one of 3 different recommendations that I have for locations that are located in America. A good portion of Antelope Canyon is on a Navajo reservation and the Navajo run several tours throughout the day into Antelope Canyon. I would suggest going in the early mornings and take as many pictures as you can. Antelope Canyon truly is some of the best photography that you will be able to find in the US. 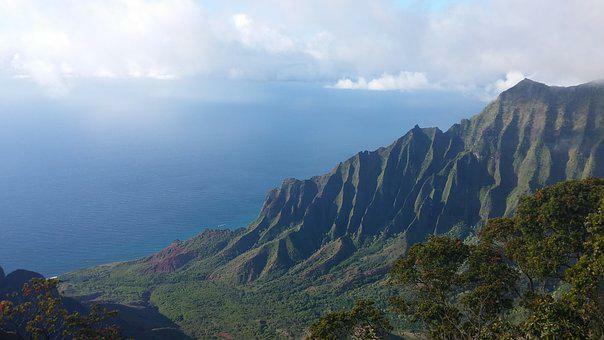 On the Northern shore of Kauai you will find Na Pali which is known as “the cliffs.” This is the really a site that sells itself. Helicopter rides aren’t always the cheapest but the views are absolutely worth it. There is also the fact that the “garden island” is mostly inaccessible unless you come in via kayak or helicopter. Tours run all year round. Do you ever wonder what Istanbul looks like below its surface? Well, in a way you can find you. 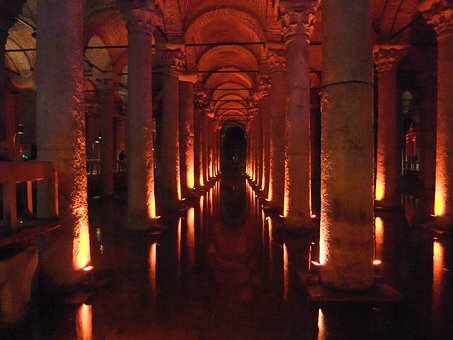 Istanbul has the world’s oldest surviving Byzantine cistern and the Basilica Cistern dates all the way back to the 530’s. The cistern is open all year round and you should be able to find a tour between 9AM and 6PM. I’m adding this one because I really thought it was cool. 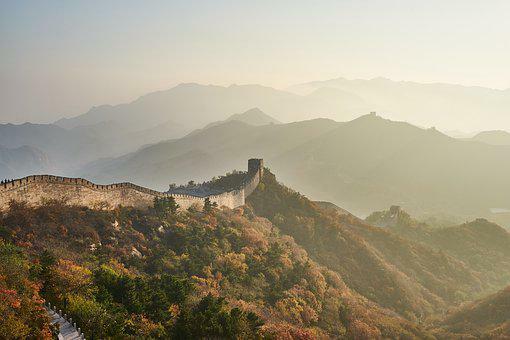 Every April, China hosts a marathon where part of the course is the Great Wall of China. They also have a half marathon and also a 10K. The course is the only marathon supported by the country and it can be difficult for some, as you go over trails and crumbling ruins. If you have the time, you can extend your trip and recover in Beijing where you can get some awesome China experiences. Technically this is supposed to be a celebration of the New Year but when you have a bunch of people with super soakers, it quickly turns into the world’s largest water fight. 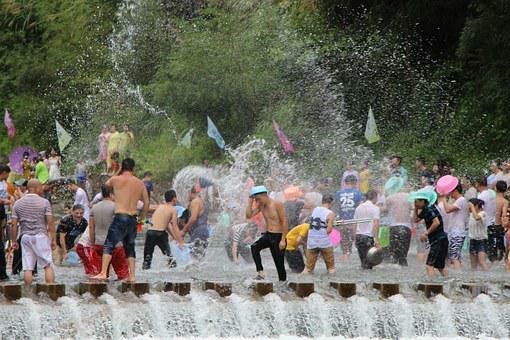 Stop by Songkran between April 13th and 15th to catch a proper water fight, I mean New Years celebration. 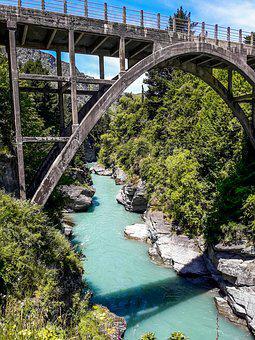 New Zealand has a lot to offer when it comes to adventure travel. Adventure Travel for Black Women could have been solely about things to do in New Zealand. They have this awesome human catapult and also some of the best options for cliff jumping and bungee jumping. This activity really speaks for itself. Costa Rica has several famous waterfall in their jungles and it’s a great opportunity to do some adventuring. You can find a tour that will let you rent out the repelling gear and have a guide take you down some of the cliffs. 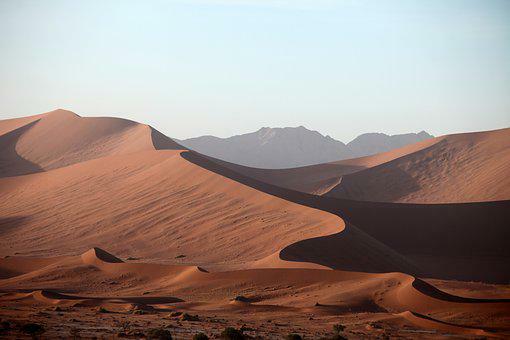 If you are traveling to Africa then you may want to put the Namib desert on your to do list. Sossusvlei is located in the Namib-Naukluft National Park. It is probably the most photographed and filmed area in Namibia. There are plenty of tours that are offered and several activities that you can take advantage of. It’s hot as the dickens during the day but totally worth it. 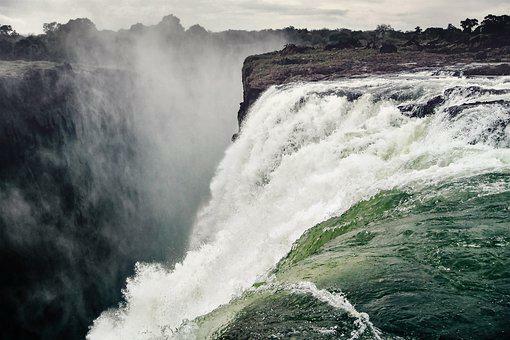 On the boarder between Zambia and Zimbabwe you will find the amazing opportunity to raft below Victoria Falls. This is your thing if you love water activities. The best time of the year to go between February and May since those are the rainy seasons. If you don’t want to raft then you can try bungee jumping or taking a plane ride over the falls. There you have it! 17 different ideas for some adventure travel for Black women.